immediately to the right of "rated X" and "finger licker" is a short, low-angle, Y-shaped crack. The line is approximately what's shown in blue in the photo below. It ends up being a 30 foot long, ~5.6 crack climb. There are now chain anchors at the top of it. I guess my question is-- does the community care about short, crappy routes being put up at donner summit? I ended up yelling at the developers, because I thought they were not putting much thought into what lines were/weren't worth bolting. I dunno if it's serious biz or not, but Rated X is on my list of all-time favorite climbs. Partly because of the climb itself (the wildest 5.6 (7? 8?) in the galaxy) partly because of the company -- it was the last time I roped up with Allen Steck. The people I ran into were keen on bolting-- after I yelled at them they moved further climber's right to continue their development activities. They seemed genuinely surprised that I was upset about the route they had bolted. But Donner ain't exactly pristine wilderness either. It must be that freeway and blasted road that kills it for me? Sounds like a case of liking the bolts you like, and not liking the ones you don't. All i know is what ive read here, there could be more to it that we dont know. Maybe something more than just that anchor that will be great, or some dingalings drilling first and thinking later. No lead bolts on the crack? Just an anchor station? Easy walk off or destructive to plants/trees? If no to the above, why would it be an issue to add an anchor to an alleged FA? Some missing info for indignation to occur. Or the purpose of the post for gathering potential older FA info is lost in the post? Kingtut....looking for cracks in a pristine wilderness? 'Were they using an actual hilti or a blue bosch? Interesting. Unlikely those bolts will stay, theyre probably already gone." looking for cracks in a pristine wilderness? Just saying, Donner is one of the more urbanized crags in the country and outrage over a violation of its "wilderness" is a little marginal, imo. As above do the bolts provide function to the community of value? Are they preserving trees and/or shrubs on a walk off? Do they open up a good little route for newbies? Or is it some noob going crazy because he has a battery pack full of juice just bolting because he can? Donner is cut by countless trails and erosion. These living things matter more than metal bits in stone, imo. And this does not mean the Compressor Route should not have been chopped (it was, wasn't it?). Now there's a job fit for a man of principal. Why is it a crappy route? Does the crack end at a blank spot where bolts are the only option to descend? Bolts aren't inherently bad. Bolts that detract from someone else's experience are. P.S. Did they climb it on lead? This really shouldn't be a factor is whether the anchor is justified or not but may give insight into the nature of the climb. There are a few 5.6 and 5.7s in that area. 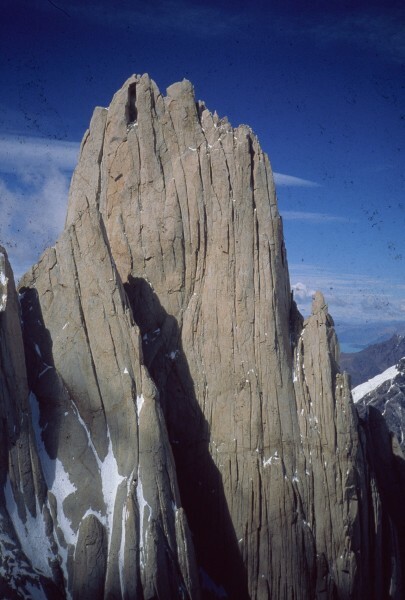 Could this climb provide another option for climbers of that rating and get regular ascents? Or is it just a vanity project that likely will be rarely climbed? Is the bottom part of the Y a 5.10 that's an alternate start for finger licker? 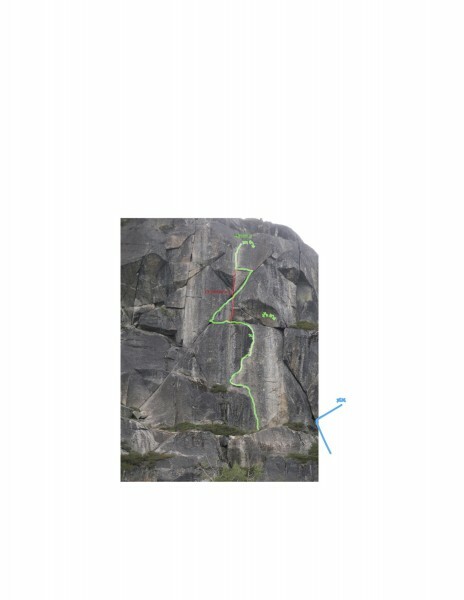 If they extended the upper right part of the Y on a short 5.6 crack that doesn't lead anywhere, that surely doesn't seem worth bolting. Who would want to climb a 5.10 start then to finish on a short 5.6? "But Donner ain't exactly pristine wilderness either. It must be that freeway and blasted road that kills it for me?" You are correct, donner summit is not pristine wilderness, though it is a beautiful and historical area.